No Bull natural ingredients, no msg, no lame fillers...nothing to spoil the fun. ​Just Badass flavors with the right amount of heat. 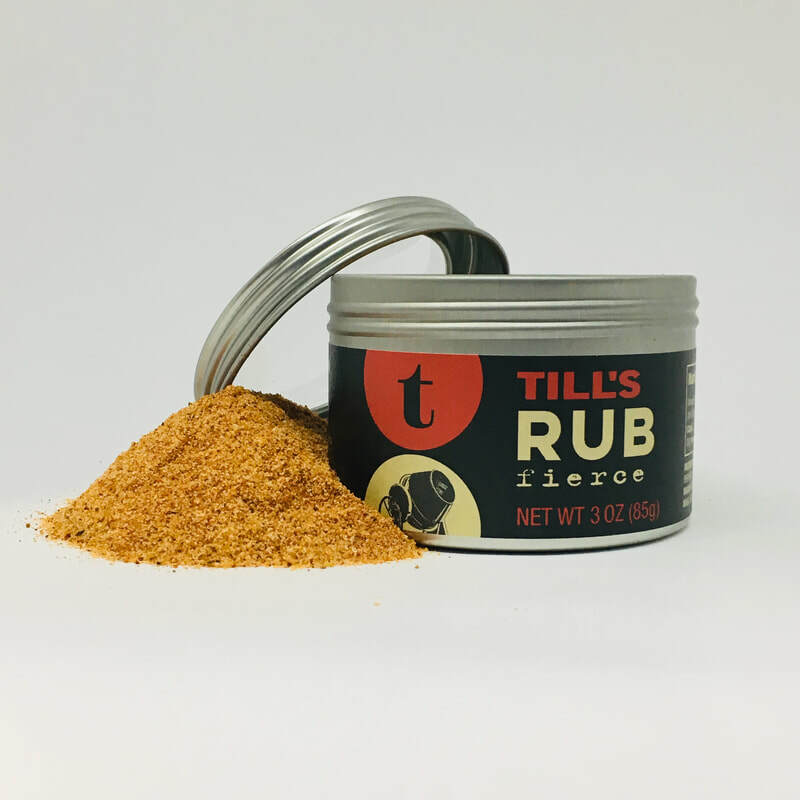 Till's Rub is so versatile our fans put it on fish and seafood, they mix it in dips, throw it on potatoes and veggies and of course, they rub it on meat and poultry. There’s no wrong way to use it. 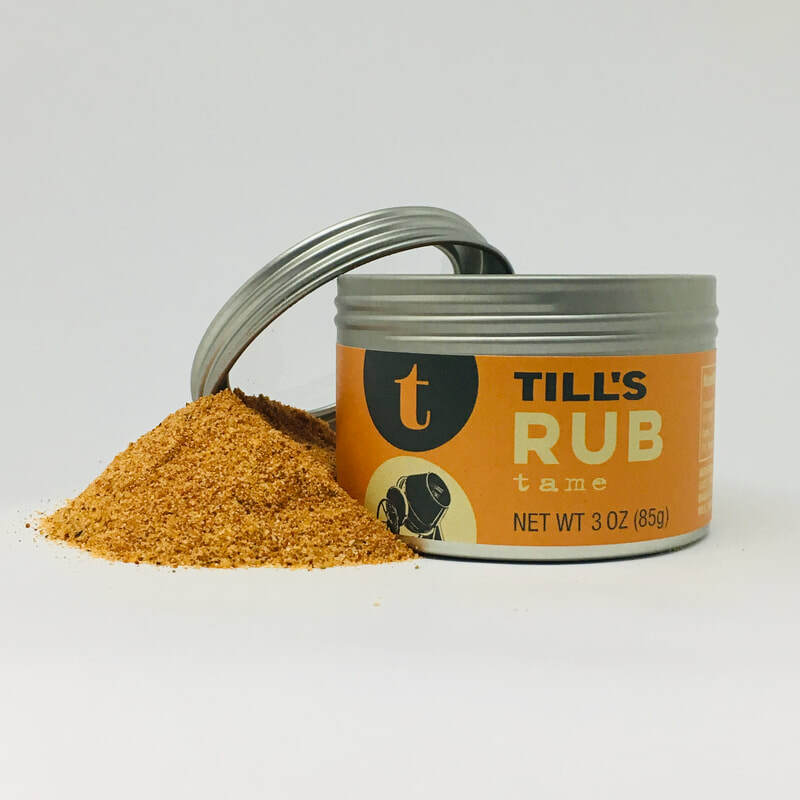 ​Till's Rubs are all natural, vegan, kosher, gluten free and MSG free. ​However, ​the rubs are manufactured in a facility that also processes milk, egg, wheat, soy, and tree nuts. The mild version of the three. A mix of different paprikas, herbs, spices, salt and sugar with just a hint of smoke. The perfect punch of flavor without the heat. Our original combination of chiles, herbs and spices mixed with salt and sugar. Perfect if you like bold flavors with just the right balance of medium heat and sweetness. 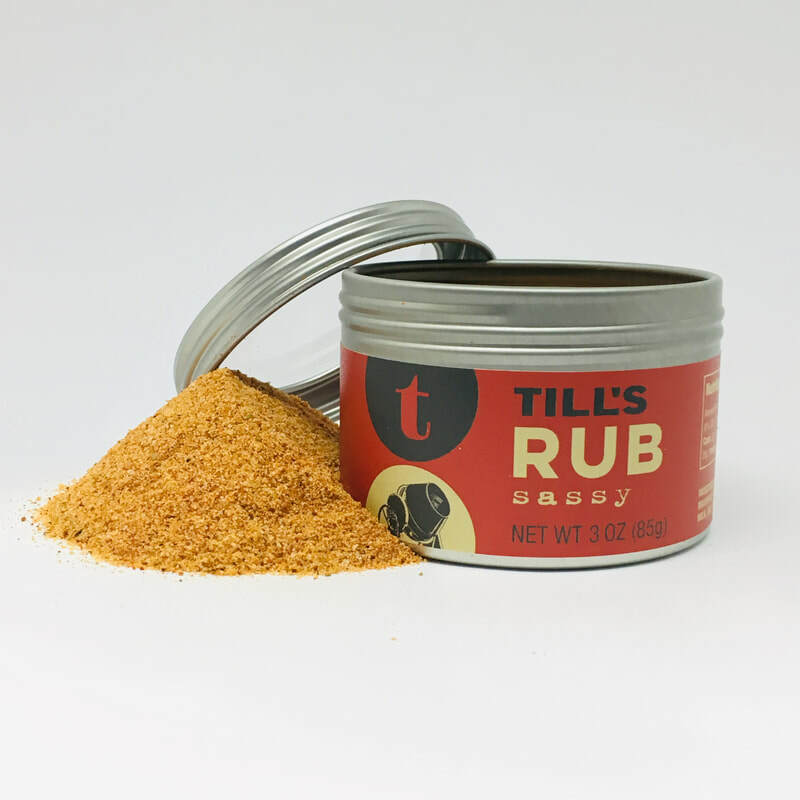 The same fantastic flavors of the "Sassy" rub but with that extra kick of Habanero chiles. Perfect to make you sweat just a little.